Marrakesh is one of those unique southern cities that combine a complete lack of order with such inspiring serenity, that it may just take you forever to figure it out. After spending five days there, I can honestly say – I’ve barely scratched the surface of its cultural richness. In this post, I’ll attempt to remove some of the illusions you may have about the city and replace them with my own personal discoveries. 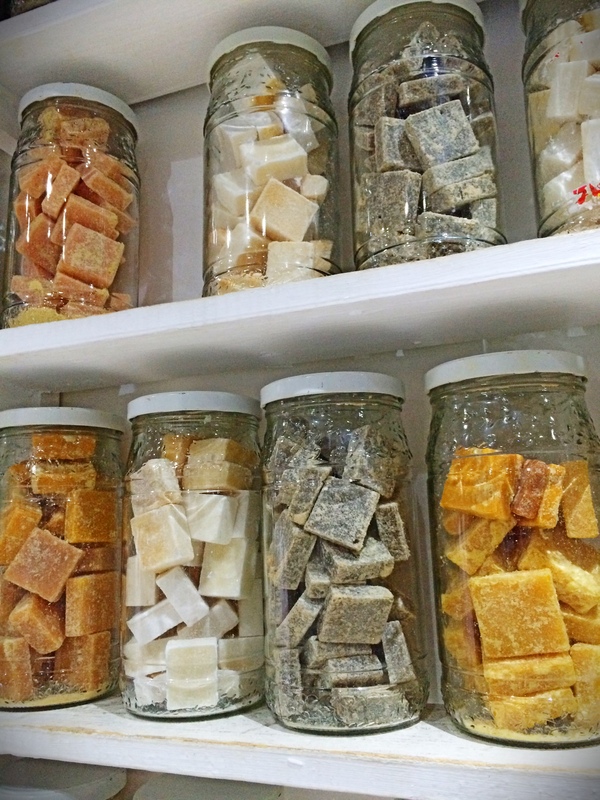 Many people associate Marrakesh with cheap shopping. The famous souks in Northern Medina cater for tourists, and shop owners are more than happy to sell you inexpensive leather accessories, jewellery, national garments and spices. However, don’t expect anything “artisanal” – pretty much every stall sells similar things (my guess is that somewhere outside Medina there is a large warehouse, distributing “touristy” souvenirs to local sellers), so if you really like a particular item, it’s worth shopping around and bargaining hard (you can easily knock off 50% or more, as sellers deliberately set initial prices higher). I am terrible at haggling, so thankfully I didn’t like anything enough to buy or get upset about a high price tag. Honestly, clothing and leather aren’t worth the praise you see in Moroccan tourism guides. What Morocco truly excels in is health & beauty, with the world famous Argan oil (exclusive to Morocco) and little perfumeries that supply the most premium French beauty titans. 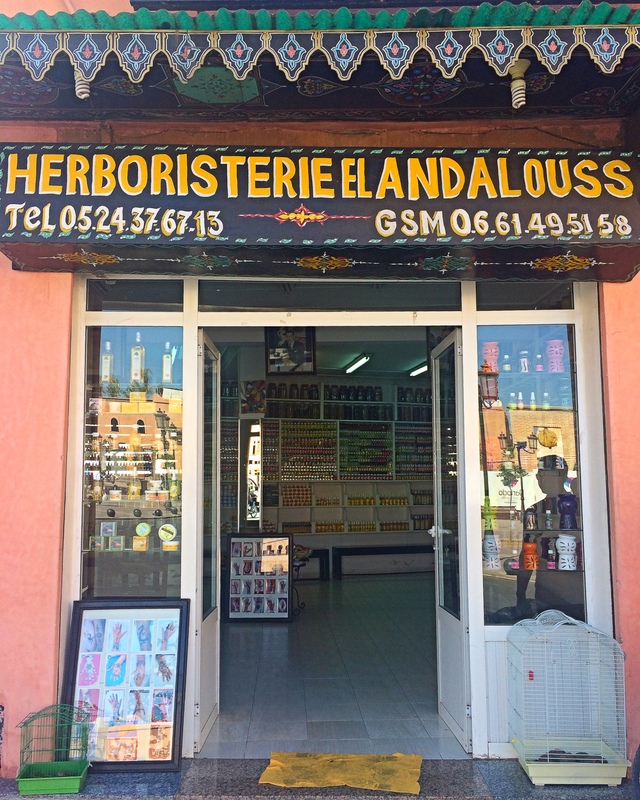 After inspecting quite a few little shops dotted around Marrakesh, my absolute favourite was this one, called Herboristerie el Andalouss in Southern Medina. Two bottles of 100% Argan oil. Quality cosmetic oil is always cold-pressed, so it’s best to keep this oil in your fridge. 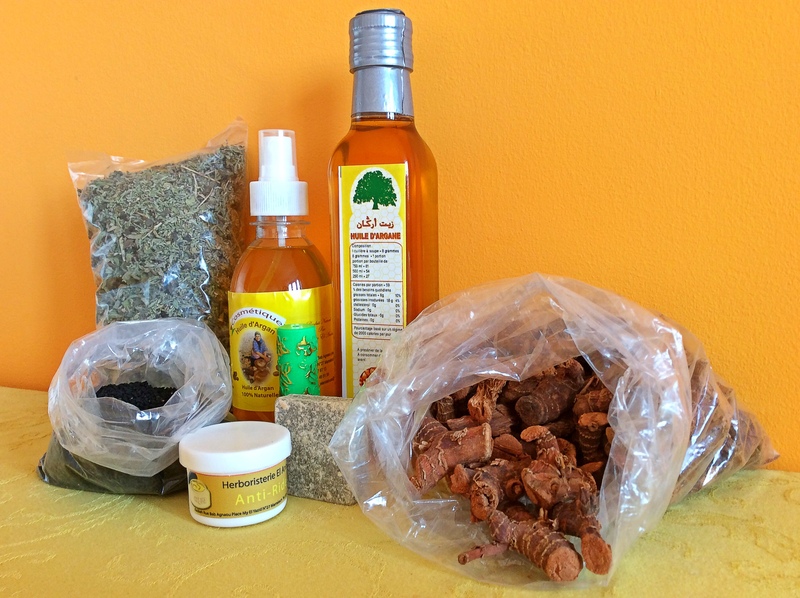 Argan oil is best used at night (sunlight negatively affects its healing properties), as an alternative to your face cream or as a nourishing hair treatment. For cooking oil, Argan kernels are roasted first, which gives it a richer flavour. A pack of traditional Moroccan tea: essentially it’s green tea with five different mint herbs mixed together. Ideally drank with a lot of honey or sugar, it’s very refreshing and gives you an extra boost of energy, which makes it a great alternative to our usual afternoon coffee. A small pot of anti-ageing cream, with a secret blend of essential oils. It’s quite thick in consistency, so it’s best to mix it with some liquid toner. Herboristeries in Marrakesh tend to act a bit like medieval alchemist laboratories, so I got this cream purely out of curiosity (what if it really works?!). Moroccan ginger is not as widely advertised as its Asian counterparts, but nevertheless it’s great for fixing any digestive or immunity-related health problems. Simply wash and add to a glass of warm milk or water, and after a month you’ll be a different man (allegedly!). 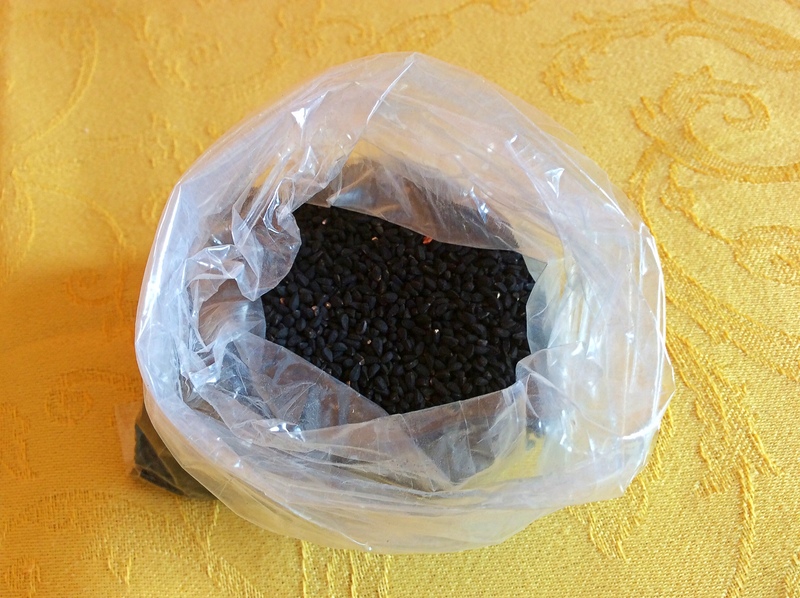 Black cumin seeds deserve their miracle status – this is what Vicks medicines are made of. Put a few of these in a small cotton cloth, rub them against your palm to warm them up and breathe in. Your nose will get unblocked, the brain will clear and you’ll feel energised. All in under 3 seconds (tried and tested!). 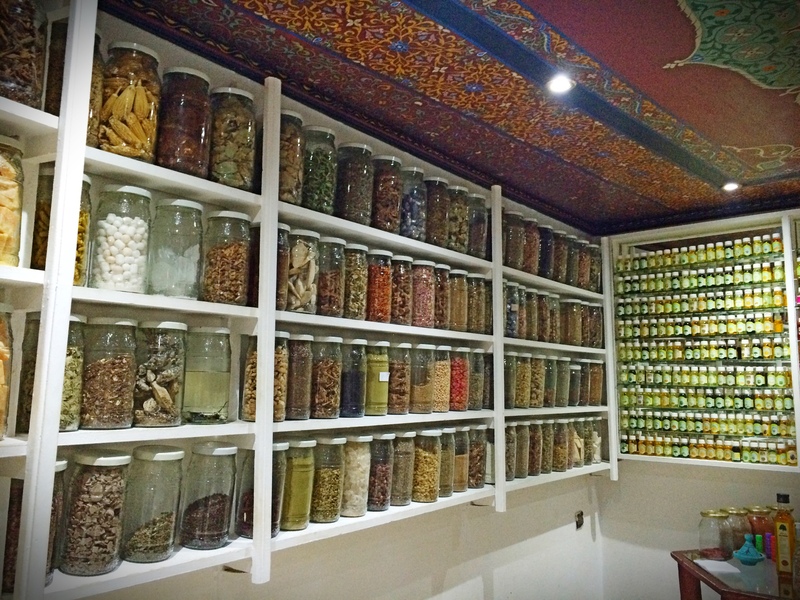 Oh, and the best part – after you are done, just put the seeds back in a jar – they can be reused many times. Now my whole family has a supply of these (here it is, gifts can also be useful!). 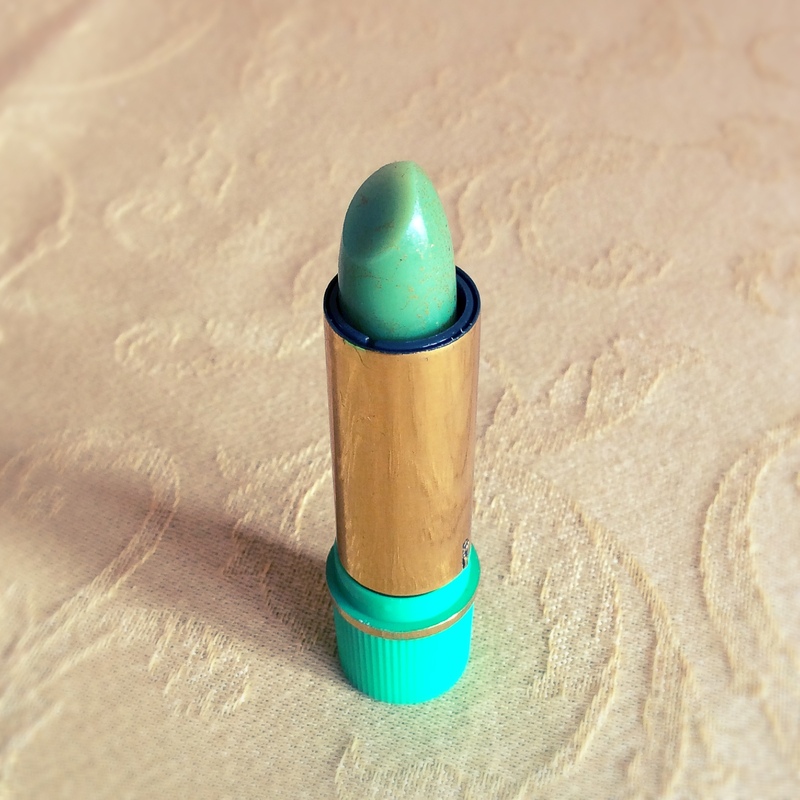 Last but not least, “the magic lipstick” – the most amazing souvenir to bring home. I haven’t altered these photos, and please don’t ask me how this works. The lipstick is actually bright green, but once put on the skin it transforms into sheer pink (the shade will vary, making it a unique lipstick for every girl!). Staying power is phenomenal, too (I think one of the ingredients in henna). Now, with all gifts sorted, it’s time to relax. The best place to have a traditional hammam and massage is Le Bains de Marrakech. I recommend booking in advance (online booking is available). It’s considered a premium spa, so the prices aren’t cheap, but they are still significantly lower than in Europe. Comptoir Darna – great for dinner (seafood tagine is a must-try) and cocktails. Every night at 22:30 they do a belly dance show. Gastro MK at Maison MK – one of the best meals I’ve ever had. A very inventive Michelin-level seven-course tasting menu for under 50 GBP a head – this is what I call a bargain. Grande Café de la Poste – fantastic wines and decent food served in a wonderfully designed place. La Mamounia –the famous 5-star hotel, great for pre-dinner cocktails in their gardens. The food is overpriced. 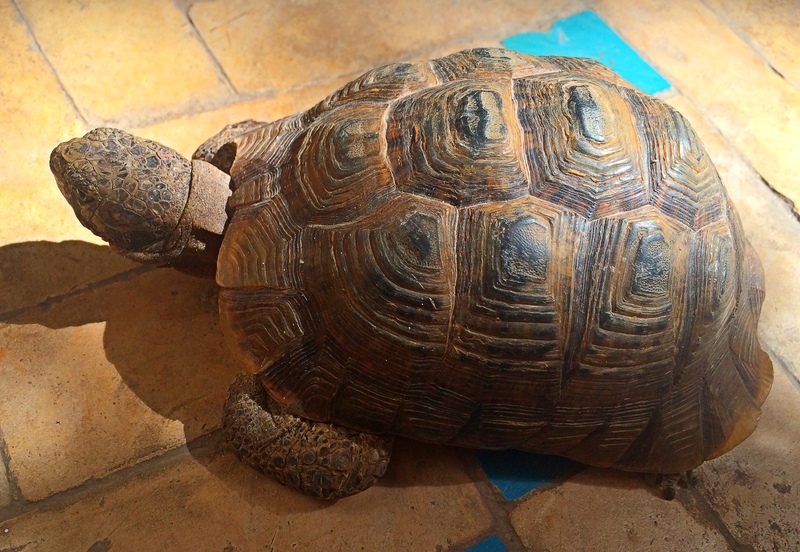 For those searching for accommodation: we stayed in Riad Asrari, a boutique 6-room place with the most adorable pet turtles and beautifully-decorated bathrooms.